When you buy a boat, chances are it comes as a base model, with standard navigation, lighting, and marine accessories. Except your life is anything but standard – you want a fishing charter, yacht, or speedboat to reflect your personality and lifestyle. Customized marine products including LED lights, updated sound systems, fishing accessories, and high-quality navigational systems can all help personalize your boat to fit your needs. Imagine Marine is a locally owned business that specializes in marine products sales, as well as custom installs and service training. Imagine Marine offers a wide variety of customized marine products, including popular brands like Garmin Ltd. and OceanLED. Some products are designed to make your boating experience more relaxing. 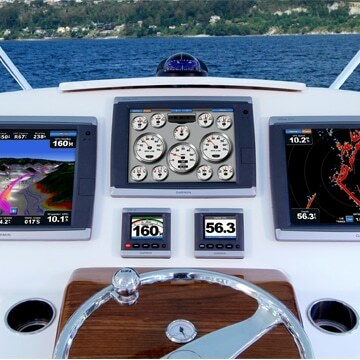 With the help of GPS navigation, chart plotters, and high-quality radios you don’t need to worry about impending weather or losing your way out on the water. Other products are designed to make your boating experience more entertaining. LED and underwater lights can light up your boat in colors that match your lifestyle, while new sound systems, amplifiers, and Bluetooth or Wi-Fi connection can let you stream and play the soundtrack of your day. Whether you’re a casual line dropper or a tournament-level angler, there are customized marine products available for all levels of fishing enthusiasts. Fish finders can help the average fisher see the ocean floor and fish population below the water with easy-to-use display screens. 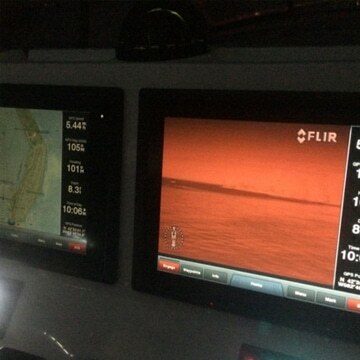 GPS and sonar allow you to play fishing trips and save specific locations for later use. Outside of the wide variety of customized marine products Imagine Marine offers, our team of experts also offer full services surrounding the products. We will come on-site to discuss how to upgrade your watercraft, help with the installation, and provide one-on-one training so you can become an expert with your new products. We’re available for all of your marine product needs. If you can dream it, we can install it, so contact us today for your custom boating accessories.